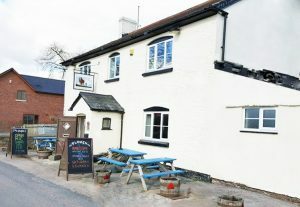 In addition to our wonderful Village Hall and officially registered by the Parish Council as a “Village Asset” we are fortunate to have another social hub within our parish in the form of The Plough Inn ~ a rural, family & dog-friendly pub which was the heart of the village as long ago as pre-WW2 and was still owned by Derek & Peggy until their sad passing in 2018. They began running it in the 1940’s when they took it over from Peggy’s father. 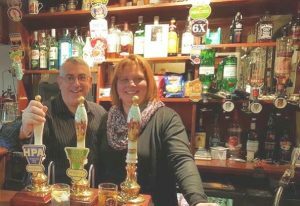 Refurbished in 2016 and now run by husband & wife team, Dean and Steph, they offer a traditional pub menu and host a variety of social events throughout the year. For more information go to The Plough page. They all welcome families, walkers & dogs and offer substantial, varied menus and boast woodburners/open fires in Winter and gardens in Summer.